Franchise Disclosure Document Attachments Sample Save $100. Save more than $100 on the cost of buying individual documents when you upgrade to our Basic Package. 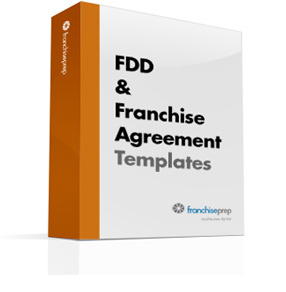 This complete starter package contains our FDD and franchise agreement templates, plus our comprehensive operations manual template. It's one more way to franchise smart. Too busy? Let us do the work. Our consultants can save you even more time by completing and customizing your documents for you. Call us at 800-305-6276 or contact us here. The journey to becoming a successful franchisor starts with an excellent business model that turns into a legal negotiating instrument. Franchise attorneys or franchise lawyers help pave the way to creating a legal entity; one that can easily be sold to a national and or international audience. As the business owner embarks on their quest to franchise their brand, several steps have to be followed. For companies new to franchising, there are three key documents needed in order to set up a franchise, they include: a Franchise Disclosure Document, a Franchise Agreement and the Operations Manual (s). The costs to assemble the documents and legal review can start around $20,000. Fees can increase depending on the business size, services and products offered and how much documentation is provided by the franchisor. The FDD can be very lengthy and range from a few hundred pages to several hundred based on the business type. Certain legal requirements come in to play when starting a franchise, such as including audited financials. Once the FDD is complete it is provided to the potential franchisee at least 14 days prior to any funds changing hands. This also applies to the franchise agreement, allowing for time for the final terms and the agreement to be negotiated. With big brother FTC looking over their shoulder, having the legal expertise from a good franchise lawyer or franchise attorney helps keep the business compliant with federal laws. The law firm will be familiar with the FTC requirements and can review the FDD and offer advice accordingly. Since they specialize in the field, they will also know any additional legal requirements involved. Some law firms also offer additional services, such as accounting and business services. The FDD is described as a legal and informational instrument presented to potential buyers. Besides the legal requirements and aspects of the document; it’s a bit like a "show and tell" where the franchisor tempts the investor with all the goodies their business can produce, telling them the best features and showing them how profitable it can be to own their very own franchise. The temptation can be described best as going into a bakery where they smell the fresh baked goods and look at the mouthwatering delicious selection - they salivate and want to try several of the items but they can't until they hand over some cash. The franchisee as an investor goes into business with all the necessary information and tools to mirror the franchisor's brand - without all the headache of starting a business from scratch. When the franchisor embarks on their journey to financial wealth through the sale of new franchises, they will know all their hard work and initial capital was well worth it. The process can be intimidating and frustrating, yet the rewards also include name recognition and expanding their brand across the nation and potentially the globe with no capital of their own. Our franchise resources are licensed for use in 200+ top franchise law firms in the US and Canada. Franchisors in all 14 registration states actively use our franchise disclosure documents. We've served thousands of satisfied customers over our seven years in business. Top franchise attorneys, franchise consultants, and hundreds of DIY franchisors turn to us for their franchise needs. Our franchise resources are adapted for use in Canada, the US Virgin Islands, Puerto Rico, and Guam. Alberta - The Franchises Act (Alberta) (the "Alberta Act") is administered by the Alberta Securities Commission. Ontario - The Arthur Wishart Act (Franchise Disclosure) (Ontario) (the "Ontario Act") is administered by the Ontario Ministry of Consumer and Business Services. Prince Edward Island - The Franchises Act (Prince Edward Island) (the "PEI Act") is administered by the Consumer, Corporate and Insurance Services Division of the Office of Attorney General. Each of these Acts contains broad definitions of what constitutes a franchise, and as a result, many distribution and dealership arrangements may also be subject to their requirements.